This morning I woke up in maya. I had bodily aches and pains and decided to just skip rising early and to go back to sleep. When I awoke for the second time, my mind was disturbed by bad dreams and feelings of dread. 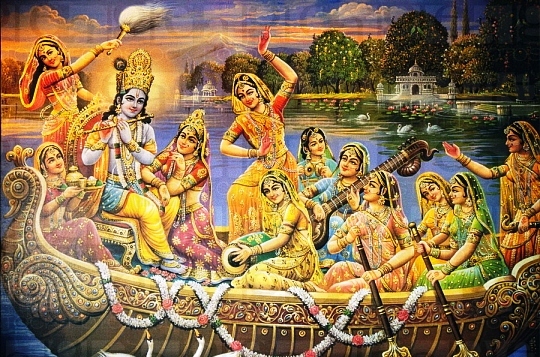 I should have gotten up early as was my duty, but now I am running late, I am not very Krishna Conscious, and in spite of the extra sleep my body still aches. So what to do??? Beautiful Vrndavana is filled with cintamani gems and many jewel palaces and temples. Many regal swans play in the waters of the Yamuna, and in those waters a splendid golden lotus flower grows. 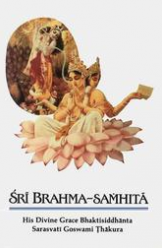 In the middle of that lotus is a golden place surrounded by eight petals. On these eight petals the eight principal gopis reside, and in the centre Lord Syamasundara and beautiful Srimati Radharani sit on a jewel throne. The great beauty of the Divine couple and Their charming joking and laughter continually showers nectar everywhere. Narottama dasa says: I pray that these blissful eternal transcendental pastimes of the Divine Couple may be always manifest in my heart.